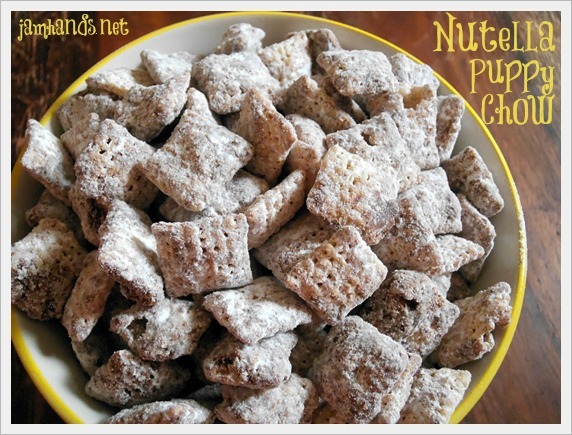 Standard Puppy Chow recipes usually call for a combination of chocolate and peanut butter to coat the cereal. While the classic recipe is delicious, it is a good idea to mix things up a bit and Nutella is a great option to do this. 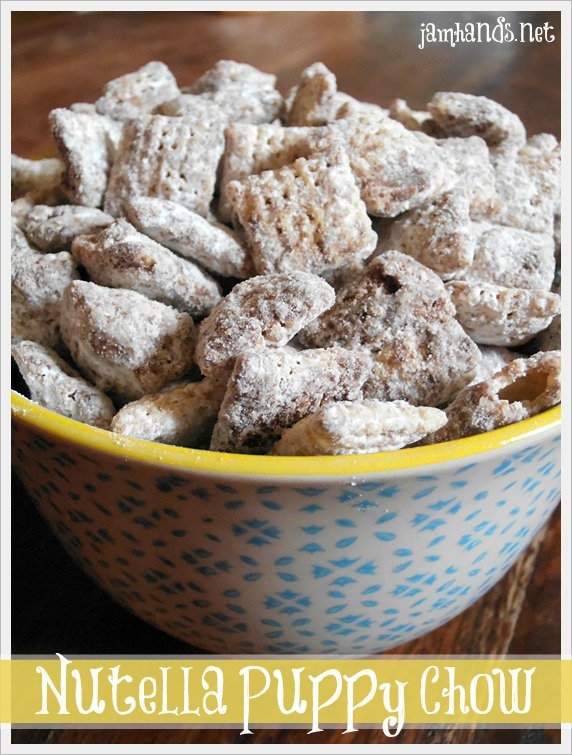 For our house, this recipe for Nutella Puppy Chow is preferred as there is a peanut allergy. Many thanks to The Way to His Heart for this recipe. Enjoy! 1. In a pan over medium-low heat, melt the butter and chocolate chips, stirring constantly. When all is melted and smooth, remove from heat and stir in the Nutella. 2. Slowly pour the chocolate Nutella mixture over cereal in a large mixing bowl. Use clean hands to mix everything together until evenly coated. Recipe from The Way to His Heart. Sharing this recipe at the following fun link parties.